Lead Dental Officer, Simon Smith, has recently taken up his new post within the Health Directorate on a two-year contract. 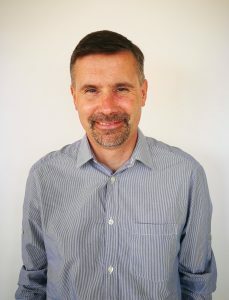 Simon has been qualified as a dentist for 31 years and has spent that time working in a General Practice in the UK. For 25 of those years Simon ran his own five- surgery dental practice which had 12,000 registered patients. He also spent ten years working for the Hospital Service helping to provide on-call emergency weekend work. Simon grew up in the Lake District of the UK and has developed a love for the outdoors, with both Simon and his wife Liz being keen walkers. Simon also has a passion for cycling and a keen interest in Motorsport. Simon and Liz both look forward to settling into Island life and making the most of their time on-Island.